Born and raised in Miami, FL, Michael J Pagán spent four years (1999-2003) in the United States Navy before (hastily) running back to college during the spring of 2004. He currently resides in Lake Worth, FL, with his wife and daughter where he continues to work on his poetry, short fiction, nonfiction and a collaborative novel. He is a contributor to his alma mater's blog, The MFA at FAU, as well as his own, The Elevator Room Company, and is a co-founder of 100 Miles & Running – A Collective. 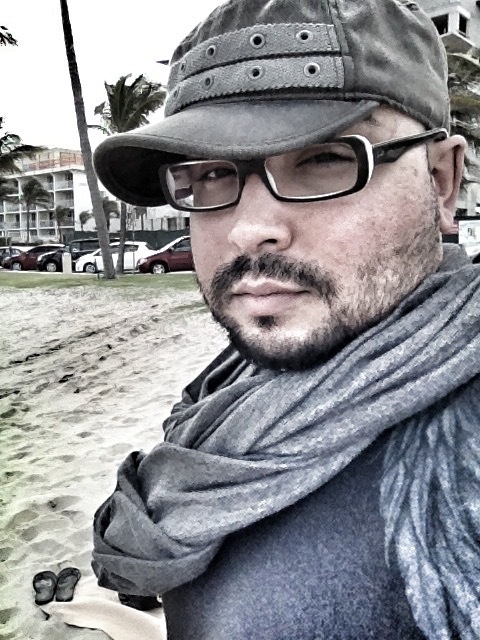 A graduate of Florida Atlantic University's Creative Writing M.F.A. program, his poetry, fiction, non-fiction and drama have appeared or is forthcoming in Apogee Journal, The Chattahoochee Review, Hunger Mountain, The Rumpus, DIAGRAM, Spork Press, Coachella Review, BlazeVOX, Menacing Hedge, Revolver, Hobart, Mad Hatters’ Review, Juked and The California Journal of Poetics among others. a tiny, whitewashed house nearby. but we simply don’t care about the clocks here.